On Friday I celebrated my birthday. For most of you that would mean birthday cake, a delicious dinner, alcohol and lots of tempting treats. I, however, have type 1 diabetes. And for me, those material things just aren’t important. I like to look at the bigger picture. Having good blood sugar levels. Good control of my diabetes. I woke up with a blood sugar level of 5.0 and it stayed in that range for much of the day. And I’m very proud of that. For breakfast I enjoyed a slice of toast and an unsweetened coffee. For lunch it was a delicious green salad and a bottle of water. At dinner there wasn’t a drop of alcohol on the table. And to top it all off, a delicious sugar free cake. Pffft! Like diabetes will ever stop me from enjoying a real birthday. For morning tea it was Coffees, Peanut Butter Tim Tams and chocolate covered Profiteroles. It was Red Rooster and Boost Juice for lunch. And I had dinner made to order (thanks Mum!) of Pasta Bake and Black Forrest Cake. 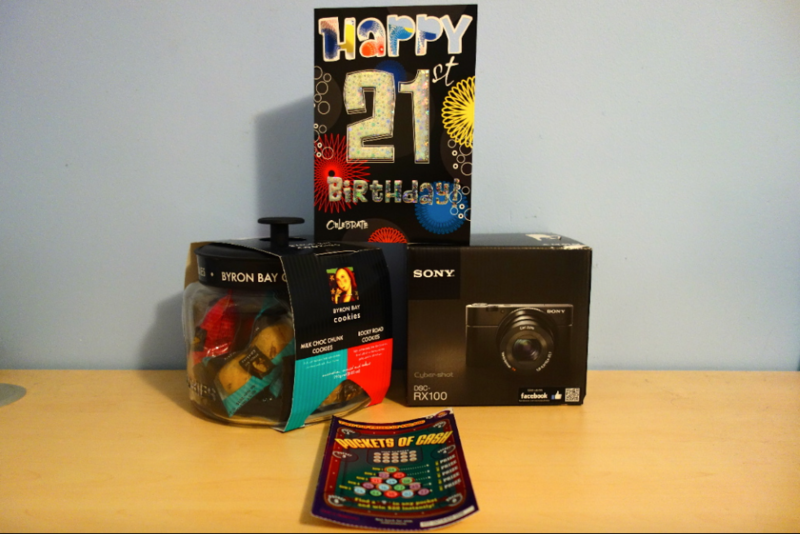 Can’t really complain about the presents either (and no, I’m not 21!). A jar of Byron Bay Cookies that I’ve been eyeing longingly for months, some unlucky scratchies and a brand new Sony DRX-100 digital camera. I really can’t sing this camera’s praises enough – it took me 5 shots to get the perfect snap instead of the usual 50! Even though this past year has seemed a little slow moving, I’ve got a lot to be proud of. 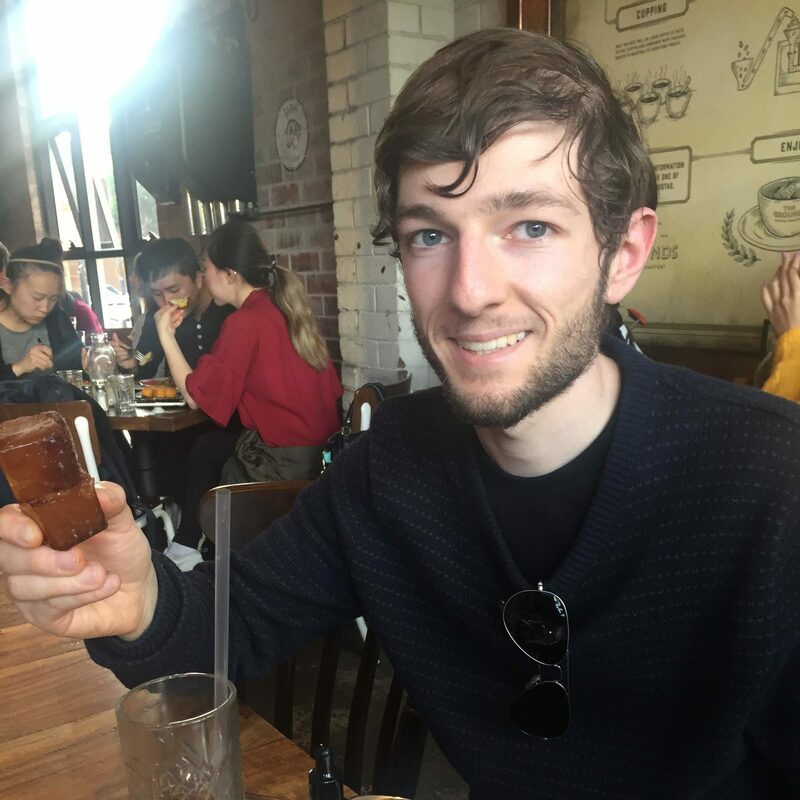 I’ve finally started a blog, something I wanted to do for years. And in the process I ignited a whole new passion for diabetes that I never knew was there. I work with a great group of people who are like a second family to me. I have my actual family who always believe in me and support me, even through the times that I don’t believe in myself. And I’ve successfully navigated my way through another year with type 1 diabetes. That deserves a gold medal in itself! Diabetes is a job that employs me 24 hours a day, 365 days of the year. There is no annual leave, no sick days and I can’t leave it on the desk at 5 o’clock and go home. So I think I’m damn well entitled to one day where I can just have a “rest” from it all. And I bolussed. And bolussed. And bolussed.